Hornet is the toughest of all the hardtail bikes in Dartmoor family. Perfect for singletracks, bikeparks and making your own ways in the rough terrain where no marked trails exist. All these Enduro and All Mountain rides are not a big deal for this bike based on bulletproof Dartmoor Hornet frame equipped with 150mm travel Suntour Auronfork, 1x10 drivetrain with 34T narrow-wide chainring, 11-42T cassette, Avid DB-1 hydraulical brakes and strong 27.5” wheels is versatile enough for riding in all conditions. If you think that Primal bikes are not tough enough players for you then try our Hornet! Looking for a ride approved in all conditions? You should definitely check Primal Pro which is just perfect for mountain trips, demanding uphills, crazy downhills or rough terrain. This set was designed to meet all your expectations while exploringAll Mountain and Enduro courses around the world. It is called “the fastest Enduro hardtail out there” since our Polish team rider – Olek Wieczorkiewicz – won the overall hardtail ranking in 2015 Enduro Trophy series. 2016 improvements like Rock Shox Revelation fork and 11–42T cassette made it even more versatile than ever before. Its specific bloody red finish fortunately didn’t need any changes as riders liked it a lot. This bike will allow you to get anywhere you want as long as you will have much power to handle this Red Devil! 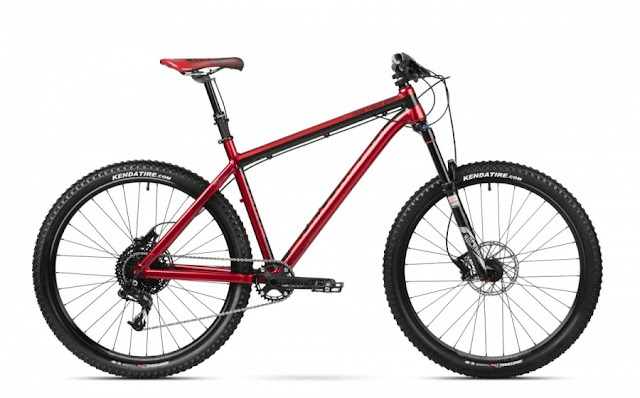 Primal Basic is a perfect choice for all of you who need as versatile bike as possible. Take it for a long trip in the mountains or a short ride in your local forest, try steep uphills and feel comfortable when riding down with a high speed. This frame was designed to meet all these All Mountain and Enduro challenges. 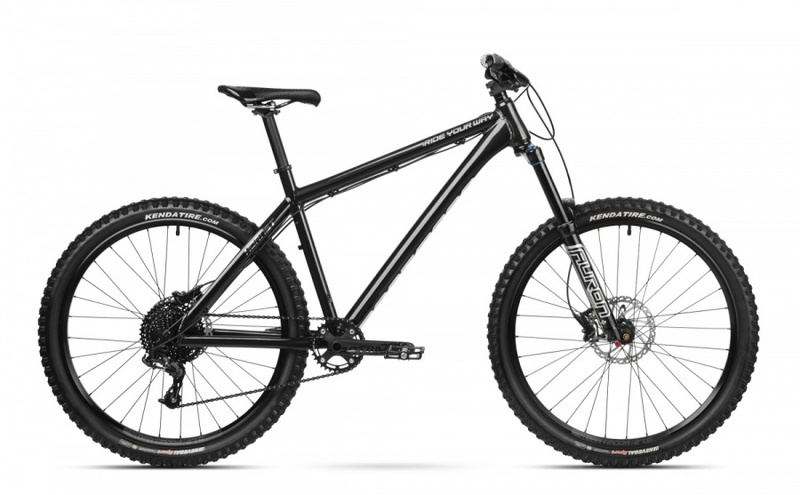 Basic version of Primal bike is equipped with 27.5” double wall rims, 2x8 gearsdrive system, disc brakes and a strong Suntour XCR–32 fork. This bike will get you anywhere you would like to ride! 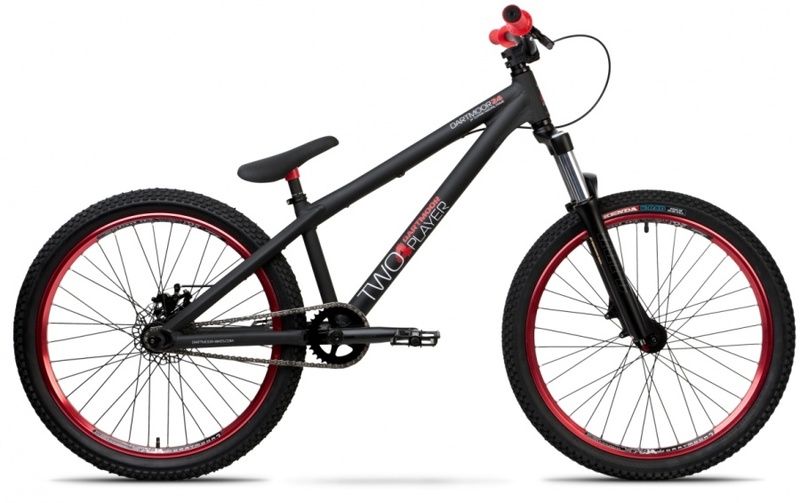 Nicely looking, entry/mid level bike with 26’’ wheels, perfect for Dirt Jump and Skatepark. This set is for those who prefer to buy a reliable complete bike than build their own. The Player frame brings perfect geometry confirmed by the results of the best Dartmoor team riders. This frame may be also a solid base for possible future upgrades. Two6Player is also equipped with Suntour Duro DJ D spring suspension fork and singlespeeed rear hub with 14T freewheel and sealed bearings. Weight: 13.5 kg / 29.76lbs. 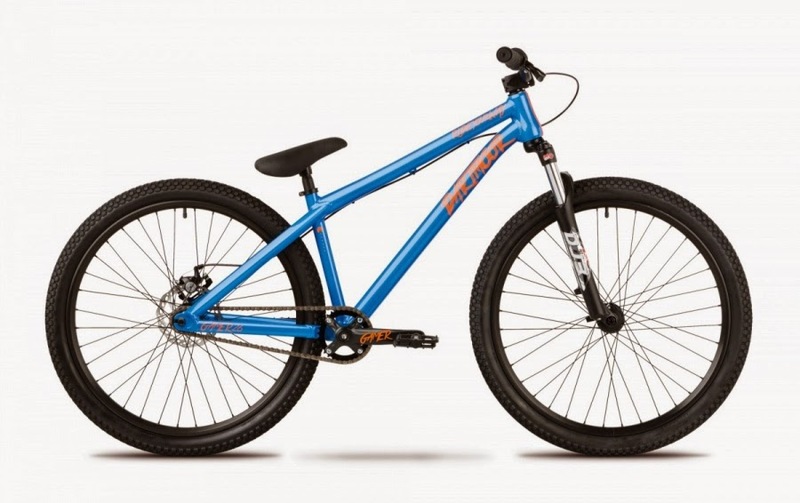 Top class aluminium hardtail for Dirt Jump/Skatepark/Slopestyle. Two6Player Pro version is based on the latest edition of the aftermarket Two6Player frame with all its hi-end features like hydroformed downtube, tapered chainstay, custom designed dropouts and BB-CS yoke. Suspension is provided by the lightweight Suntour Duro Air fork successfully used in the same frameset by Tomas Zejda. The other top components include Avid Elixir hydraulical brake, Raider rims, new Fury stem and Stream Pro pedals. Top class Dirt Jump/Skatepark machine you can take out of the box and head directly for your dream contest. No weak parts included. Equipped with the Suntour Duro Air fork and top class Dartmoor sealed bearings hubs. Pro geometry frame, fully made of 100% Cr-Mo 4130 steel with integrated seat clamp and head tube for integrated headsets. Furthermore specification is including Dartmoor aftermarket Raider rims, Stream pedals, Zulu 7075 sprocket, Core chain and Lite seat combo. Cockpit consists of the Dartmoor OEM Ice bars, Fury stem and Shamann grips. The Player complete bike with 24” wheels. Perfect for teenagers starting their Dirt Jump/Park adventure and all the 24” wheels enthusiasts. Set includes many high end components from the Dartmoor aftermarket collection or parts designed especially for the OEM bikes line plus reliable Suntour Duro DJ D suspension fork and Kenda K-Rad tires. Brake/lever: Promax DSK-320 mechanical disc brake with 160mm rotor. Weight: 13.2 kg / 29.1lbs. 2012 brings the second edition of the popular Two6Player bike, this complete is for those who prefer to buy a reliable complete bike than build their own. 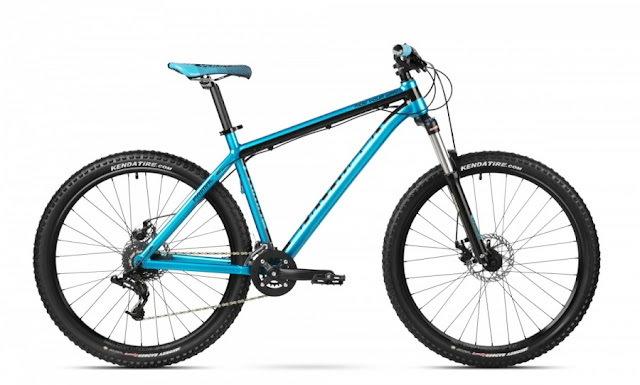 This bike is the perfect weapon for those new to this type of riding as well as the seasoned pro. The Player frame offers perfect geometry, this is confirmed by the results of the best Dartmoor team riders like Mehdi Gani or Tomas Zejda. This combined with reliable components and affordable price is sure to make the Two6Player a much sort after bike. 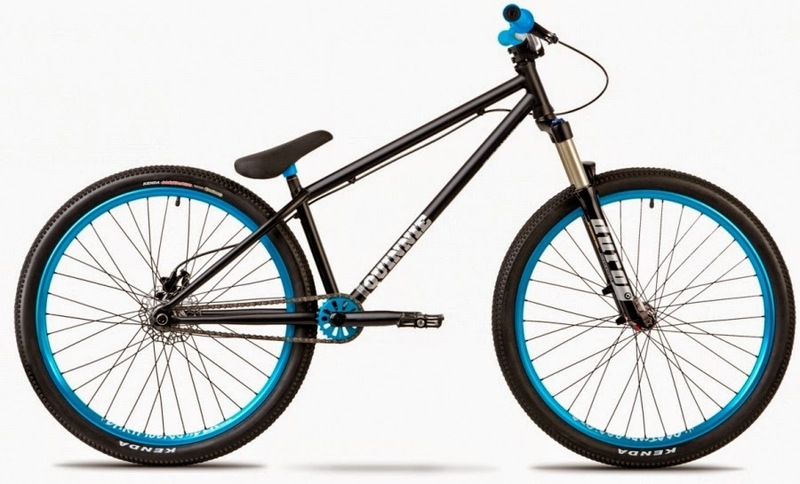 2012 bike will be available in a beautiful matt black – satin turquoise color combination. The main changes in technical specification comparing to the first edition are: new Revolt driver rear hub with female bolt system and alu inner axle; Charge headsets with Ride Your Way top cap; new Ivy combo saddle with 27.2mm seat post designed especially for complete bikes; solid RST Slope suspension fork and lightweight Stream alu pedals. You will still find in this bike also strong Chukka Two cr-mo cranks; strong and light Raider rims; short, lightweight Fury CNC stem; Kenda K-Rad tires; good quality Dee-Force front hub with sealed bearings; Hayes mechanical rear disc brake; Zulu 25T alu sprocket and comfortable Shamann grips. Basic bike in our offer for all the beginners that would like to start their gravity experience. Parks, trails and pump tracks are Gamers natural environment. It is based on the strong alu frame with double wall rims, strong bars, massive Fury stem and professional dirt jumping fork - Marzocchi Bomber DJ3. Idea behind this model is to make learning easy and keep it safe at the same time. Gamers geo is based on world's most popular aluminium dirt jump frame - Dartmoor Two6Player. Fork: Marzocchi DJ3, travel 100mm, axle 9mm, 1-1/8"
All prices listed are in SGD unless otherwise stated. **Please call us before heading down to our shop.